← I won a giveaway! 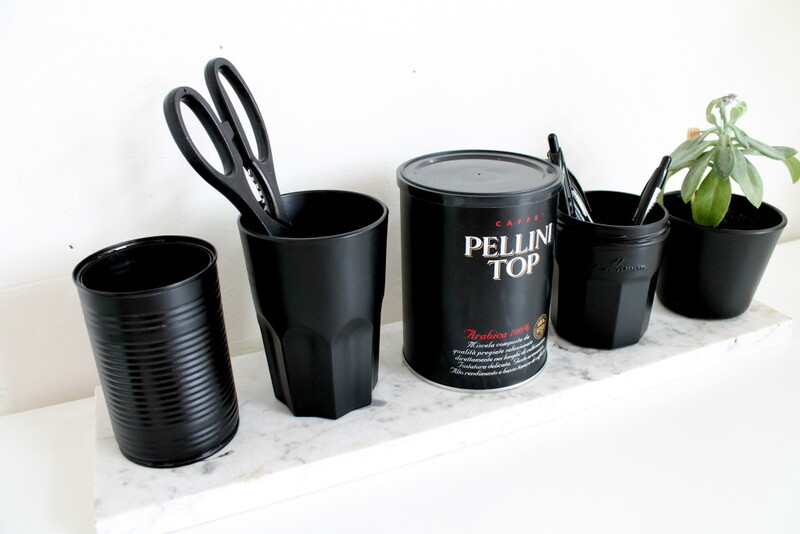 As a DIY-blogger I tend to keep every piece of glass, cans or whatever to “use it for my blog once”. Hello storage problem! So for today I firmly but friendly told myself I should use some stuff for a blogpost that has been lying around the house for a long time. I came up with this desk organizer that I made of several glass and tin items. All of these materials I could’ve thrown away, and I am always very happy about re-using items. I am also very happy when it comes to organizing, so today, you can imagine I am a very happy person today. 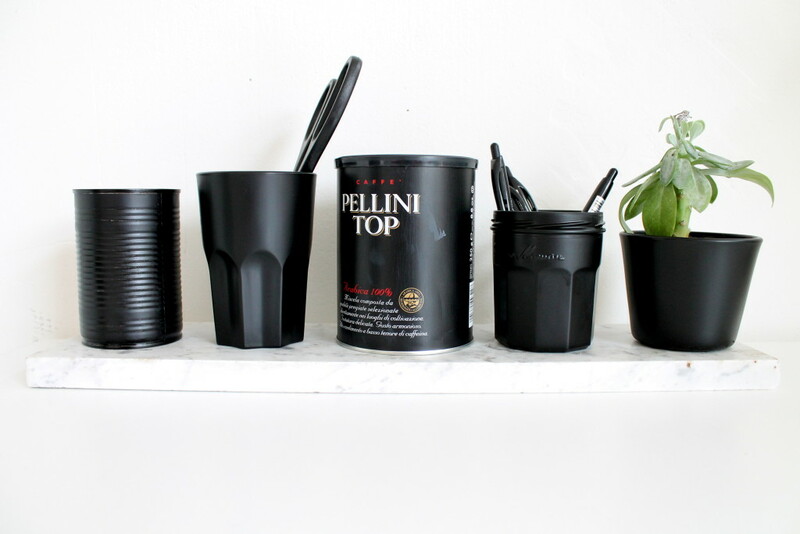 I used spray paint to spray all those items black. I chose a matt black, because I really love the tough look it gives. From left to right: a tinnen can that contained beans, a water glass, a coffee can, a glass that contained marmelade and a scented candle. I love how they all have a different height and shape, which make an interesting picture overall!